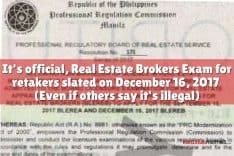 Home » Blog » Real Estate Investing » BSP to prevent a real estate bubble by regulating in-house financing schemes? We all know that real estate investors are anxious about whether the Philippines will soon have a popped real estate bubble, similar to that which happened in the US. This has also crossed my mind lots of times, and I’m glad to see someone is trying to do something to address this. But before that, let me share some of my observations. I noticed that there are a lot of condominiums and developments in the pre-selling stage now, and the prices are not within the reach of the average Philippine-based Filipino worker. Sometimes even I wonder whether there are really people who will be able to pay for those units. Are those units not overpriced? If there is an asset price bubble, the market will naturally correct itself eventually. No one wants to be left holding a property that is worth much less than what you bought it for. 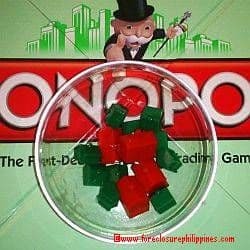 In the past, the possibility of a Philippine real estate bubble was discussed by Ms. Angie Espiritu in her guest post which aims to answer the question Will there be a real estate bubble in the Philippines? Her main reasons for concluding that there will not be a real estate bubble in the Philippines is that banks are stricter in granting loans, and that buyers are mostly end-users who pay their monthly amortizations regularly because it’s for their home. Under those circumstances, I agree that a real estate bubble may be unlikely. However, there may be an area where an asset price bubble may arise, and that area involves in-house financing. This was discussed in a recent yahoo news article, and the Bangko Sentral ng Pilipinas (BSP) is currently formulating policies to monitor in-house financing schemes. It is quite common nowadays that developers offer easy payment terms for the downpayment, for example, as low as 10% over 36 months, and then afterwards they offer in-house financing at very high rates for those who do not qualify for bank loans. If the buyers do not qualify for bank loans, it is very likely that they will not be able to afford the monthly payments since the in-housing financing interest rates are very high. This may involve a case where the buyer was encouraged to engage in some speculation, thinking that by the time the condominium or property is ready for occupancy, the value would have increased significantly and the property may already be sold at a profit at that point. Sadly, there are instances when the property is not sold and the buyer’s previous payments are forfeited and the developer repossesses the property. Even if the other buyers are able to pay for their own units, when there are several other units left unsold, the market will self-correct and the price of the units may end up being lower than what the legitimate buyers originally paid for it. You may say that a lot of the buyers are OFW’s who are investors who have more than enough capability to pay the monthly amortization under the in-house financing schemes. But of course there may be unavoidable and unanticipated instances when the money for the amortization needs to be used for another purpose, or the job is suddenly lost and he is unable to pay (this applies equally to Philippine-based buyers of course). It may be also that they were encouraged to buy with the expectation that when the building is ready for occupancy, it may be leased out at a rate more than the amortization, and unfortunately the projections are not met. While of course no one should think negatively, it may be good to have prudent and conservative forecasts to avoid the situation earlier described, where the market price effectively goes lower. Note too that when there are several units which are taken back by the developer, and the developer in turn is unable to pay its loan to the bank, the bank may likewise be unable to be liquid enough to serve the needs of its depositors and thus fold up in the case of a bank run. Considering the above unfavorable possibilities, I commend the BSP for being proactive in safeguarding the stability of our economy. Hopefully, the sellers will price their products competitively and reasonably considering its true value, and buyers will not be swayed into buying a property which they really can’t afford, and the Philippine economy remains stable in both the short and long run. *This post is my simple understanding of the situation, please let me know your thoughts. I am not an economist and I don’t even particularly like economics. Previous PostAreas near MRT Line 7 Stations: Soon to boom?